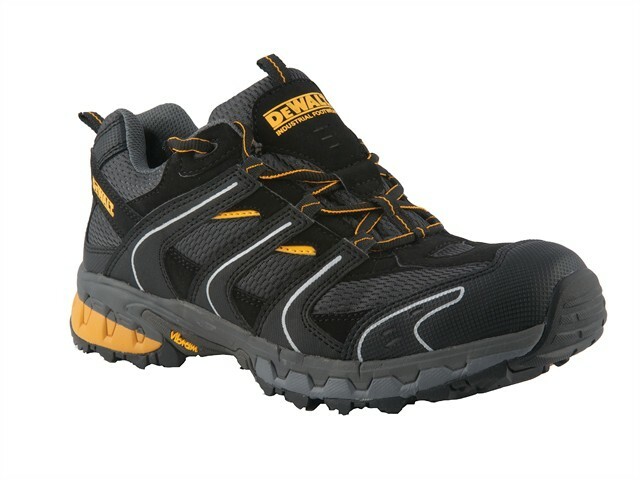 The DEWALT Cutter Safety Trainers have a lightweight synthetic upper with a padded tongue and collar for added comfort. The comfort insole providing comfortable all day wear. They are fitted with a steel toecap that has been tested to 200 Joules and a phylon/rubber outsole with an anti-scuff toe guard.